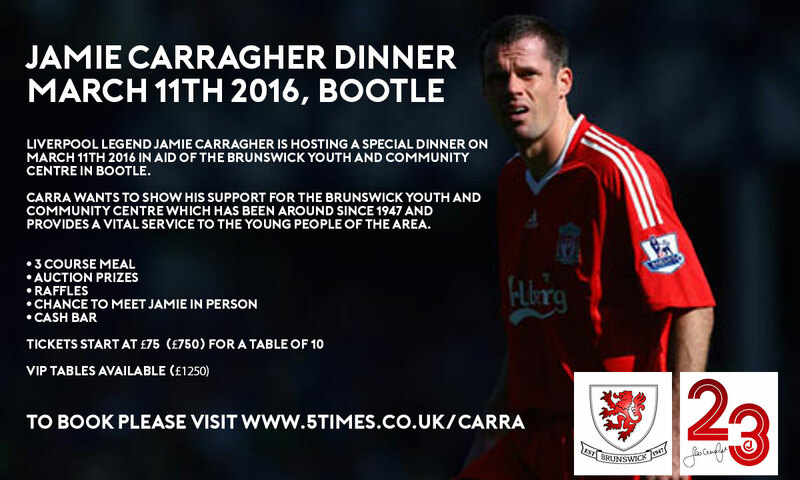 Brunswick Youth and Community Centre (also known as Brunswick Youth Club and The Brunny) is proud to announce a special fundraising dinner hosted by former Liverpool and England footballer Jamie Carragher. The dinner will be held on Friday 11 March 2016 from 8pm to 10:30pm at Brunswick Youth and Community Centre. Click here for directions. Jamie Carragher will be hosting the dinner and guests will have the chance to meet and talk with him. There will be a three-course meal, unique auction prizes, and raffles, all in aid of The Brunny. Contact www.5times.co.uk/carra for more information or to book online. My second home was the Brunswick Youth Club – the Brunny – where we’d spend every school holiday having a kick-about in the gym in the afternoon and playing pool in the evening. Jamie kept his strong ties with the club and is a firm friend of our manager, Keith Lloyd. 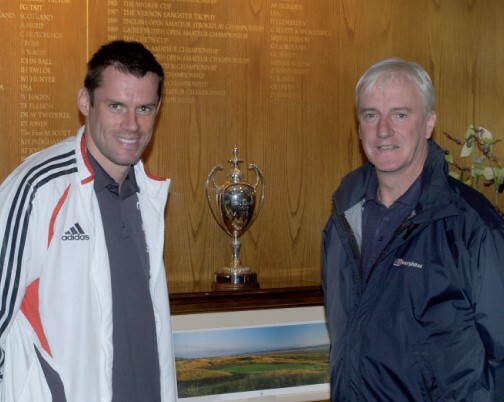 Jamie Carragher and Keith Lloyd in 2006. The Jamie Carragher Sports and Learning Academy trains the next generation of coaches to BTEC Level 2 and 3 standard, and is already producing exciting talent. We are proud to have played a small part in Jamie’s family history and are extremely grateful to him for hosting this fundraising dinner. As a registered charity, we are dependent on funding to provide our services. Carra’s help is invaluable and much appreciated.